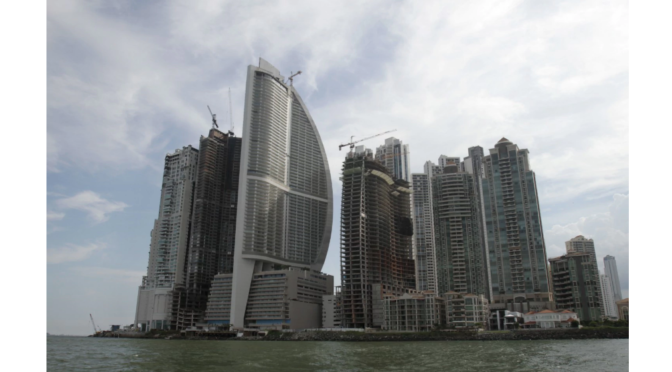 PANAMA CITY — Last Thursday afternoon, the majority owner of the Trump International Hotel here in Panama arrived unexpectedly in the building’s swank Sky Lobby with an entourage. He wanted to fire the Trump Organization, which has managed the hotel since it opened in 2011. But the Trump Organization has refused to leave. Since that first confrontation, police have been called multiple times to referee disputes between owner Orestes Fintiklis — who blames the company’s poor management and damaged brand for the hotel’s declining revenue — and the Trump Organization, which says it still has a valid contract to manage the place. Offices have been barricaded. Several yelling matches have broken out. The power was briefly turned off, in a dispute over the building’s electronic equipment. At one point, Fintiklis — denied a chance to fire the hotel staff or even check into a room — played a tune on the hotel’s lobby piano as an apparent show of defiance. The slug-fest between Donald Trump and New York Attorney General Eric Schneiderman over Trump University continues. On Tuesday, a New York court ruled that Schneiderman’s $40 million civil suit alleging fraud against Trump University would still have to go to trial, even though Schneiderman had asked the court for a ruling based on the evidence already presented. A spokesman for Schneiderman’s office said the trial could take place as early as this fall. If so, that timing could prove tricky for Trump should he be chosen as the GOP’s presidential nominee. The Trump camp was happy with the court’s decision Tuesday. “We are extremely pleased that the Supreme Court has yet again rejected the Attorney General’s attempt to avoid a trial.” said Alan Garten, an attorney for Trump. 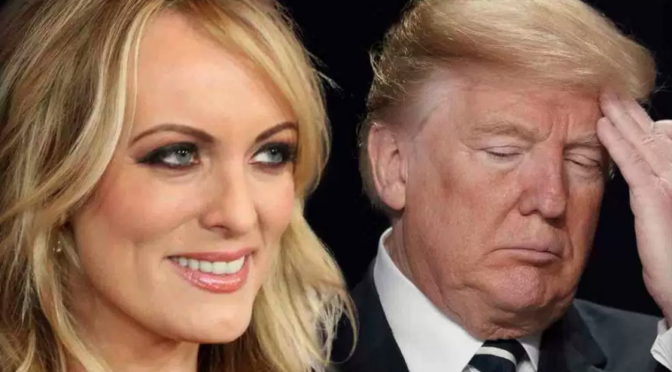 The denial of Schneiderman’s request for summary judgment came after a New York court rejected the arguments of Donald Trump’s lawyers that Schneiderman’s fraud case should be tossed out. 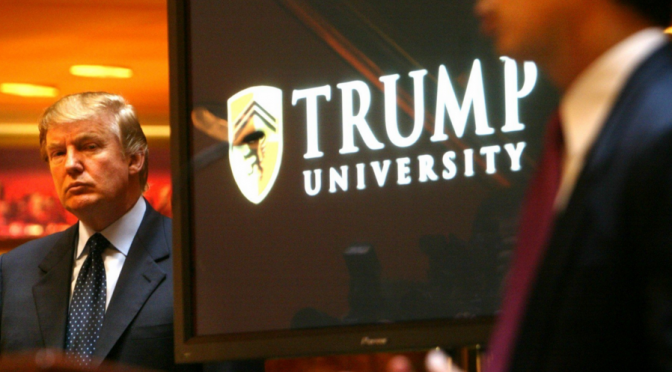 Trump University, launched in 2005, was a real estate seminar business that promised to teach students the mogul’s investing techniques to get rich on real estate. 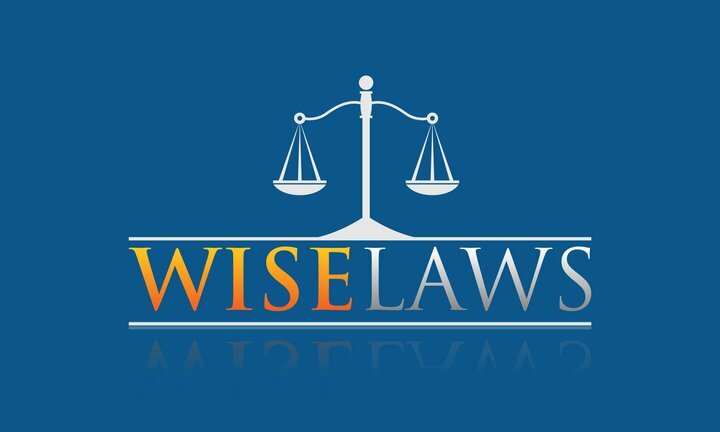 The business, which has effectively been defunct for several years, is currently facing three lawsuits filed by and on behalf of former students who claim it was a fraud. “It was a classic bait-and-switch scheme,” Schneiderman told CNN. –CNN’s Drew Griffin contributed to this report. WASHINGTON – Donald Trump tapped a man to be a senior business adviser to his real-estate empire even after the man’s past involvement in a major mafia-linked stock fraud scheme had become publicly known, according to Associated Press interviews and a review of court records. 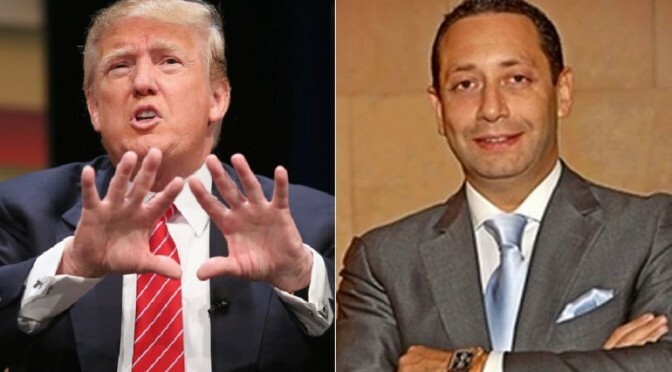 Portions of Trump’s relationship with Felix Sater, a convicted felon and government informant, have been previously known. Trump worked with the company where Sater was an executive, Bayrock Group LLC, after it rented office space from the Trump Organization as early as 2003. Sater’s criminal history was effectively unknown to the public at the time, because a judge kept the relevant court records secret and Sater altered his name. When Sater’s criminal past and mafia links came to light in 2007, Trump distanced himself from Sater. But less than three years later, Trump renewed his ties with Sater. Sater presented business cards describing himself as a senior adviser to Donald Trump, and he had an office on the same floor as Trump’s own office in New York’s Trump Tower, The Associated Press learned through interviews and court records. 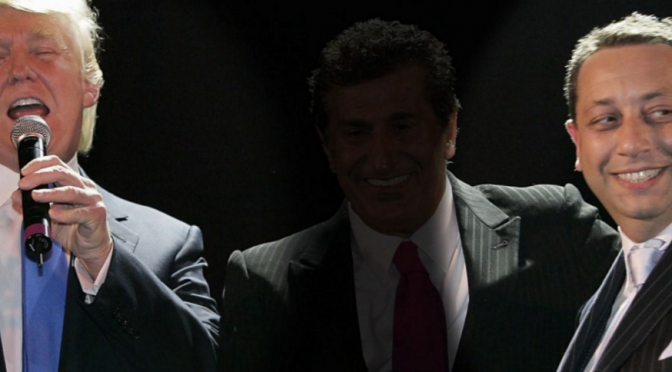 According to Trump lawyer Alan Garten, Sater’s role was to prospect for high-end real estate deals for the Trump Organization. The arrangement lasted six months, Garten said. Trump did not know the details of Sater’s cooperation with the government when Sater came in-house in 2010, Garten said. But Garten noted that U.S. Attorney General Loretta Lynch praised Sater’s cooperation with the federal government, when senators asked about him during her confirmation hearings early this year. She said Sater cooperated against his mafia stock fraud co-defendants and assisted the government on unspecified national security matters. “If Mr. Sater was good enough for the government to work with, I see no reason why he wasn’t good enough for Mr. Trump,” Garten said. “Obviously a Donald-and-the-bad-guy piece is not interesting for me to participate in,” Sater wrote in an email to AP. His lawyer, Robert Wolf, said information about Sater in public records and lawsuits obtained by the AP was defamatory. He credited Sater’s stint as a government cooperator with potentially saving American military lives, although he did not provide details. Wolf told the AP to write about Sater’s past “at your own risk” but did not cite specific concerns. After his 1998 racketeering conviction, Sater spent more than a decade as an informant on the mafia and on national security-related matters. Federal prosecutors kept even the existence of Sater’s racketeering case out of publicly available court records for 14 years. Civil lawsuits have alleged that Bayrock engaged in a pattern of misconduct during Sater’s tenure, sometimes involving potential Trump projects. Bayrock’s attorney told AP the firm did not mislead anyone about Sater’s past and denied any misconduct. The firm has not yet responded to a version of the complaint refiled in U.S. court last month. “The guy’s been in business a long time, he’s got a lot of contacts,” Garten said of Sater.